Drilling, tapping, and deburring typically requires three separate tools and at least a couple of minutes of your time for each hole. 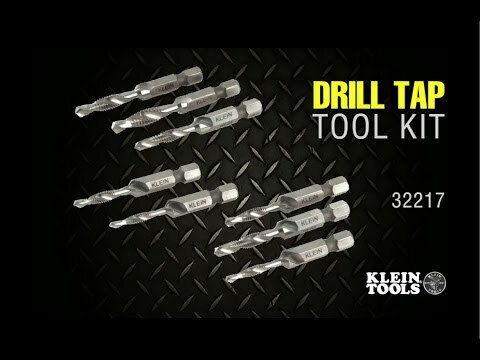 Klein has introduced their new Drill Tap Tool Kit that requires only one tool to accomplish all three tasks, and best of all, it is a lot faster to use. Made out of high speed steel, the new Klein drill tap bits feature a drill bit in the first section of the bit, a tap in the middle section, and it finishes off with a larger cutting edge that deburrs the hole. 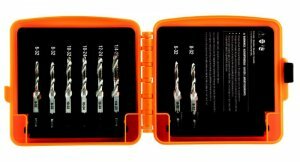 The Klein Drill Tap Tool Kit has been designed for use on aluminum, brass, copper, plastic and mild steel that is up to 10-gauge thick.